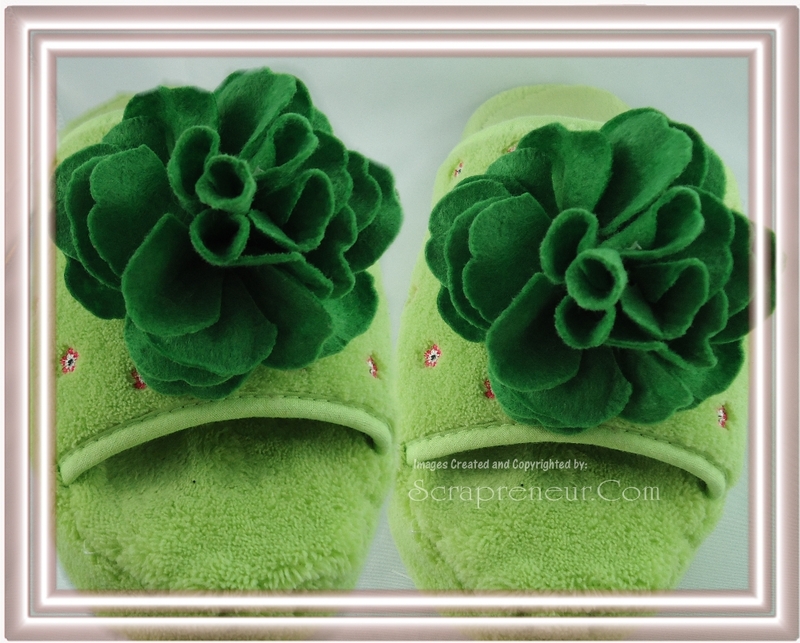 I got this idea for Handmade Fabric Flowers Slipper Clips in some Bridal Magazines. The magazines actually featured Bridal Shoe Clip Accessories for Wedding Shoes. I just thought it will be neat idea for house slippers too. 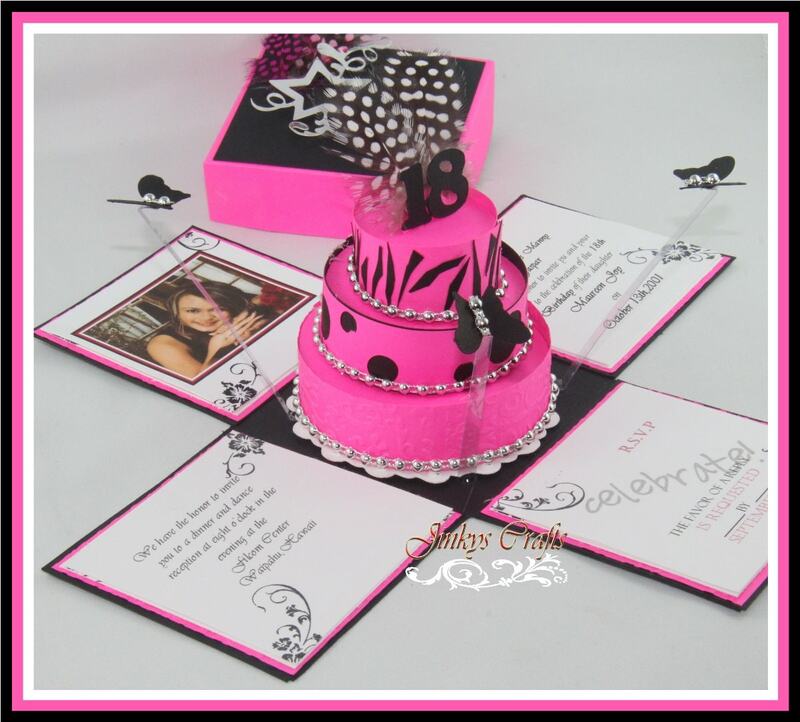 The Pink Flower was actually made out of felt. Since this is a clip on accessory, I can always change the color or style of flower I would like to use. 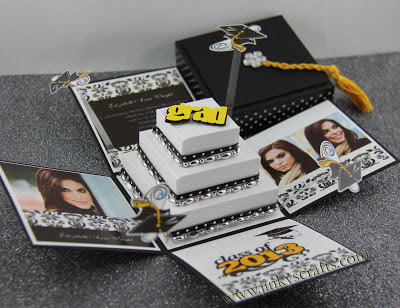 I think that's neat! 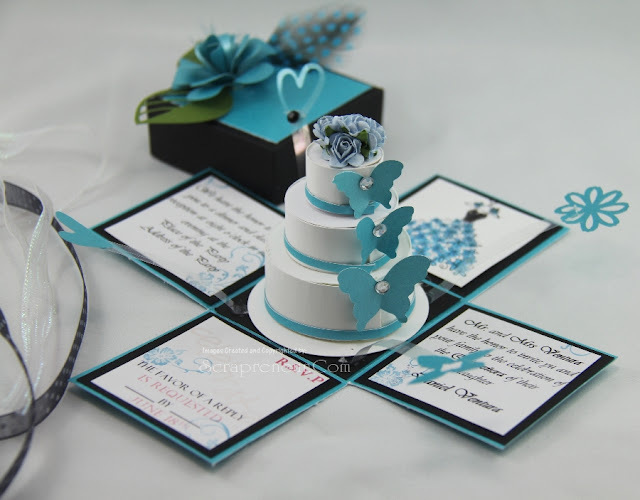 I will be posting the tutorial on how to make this Felt Flower soon. It so happened that I could not find the file of the step-by step instructions I prepared before. So, you have to come back and check out the Felt Flower tutorial. 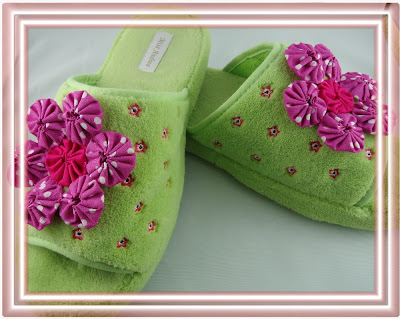 Meantime, you can check some of my Fabric Flower tutorials here. 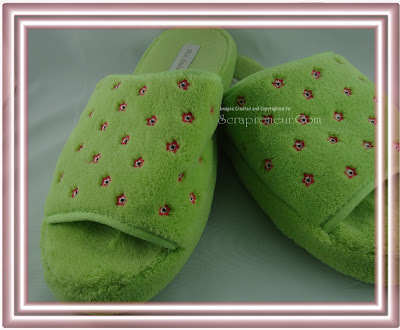 Looking at a plain house slipper is so simple and boring. 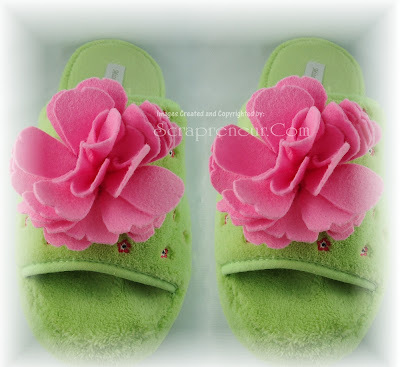 But having the Fabric Flowers clips on it makes this ordinary slipper extra ordinary. These Fabric Flowers are made out of a Yo-Yo. Please find my free tutorial on how to make this Yo-Yo flower below. 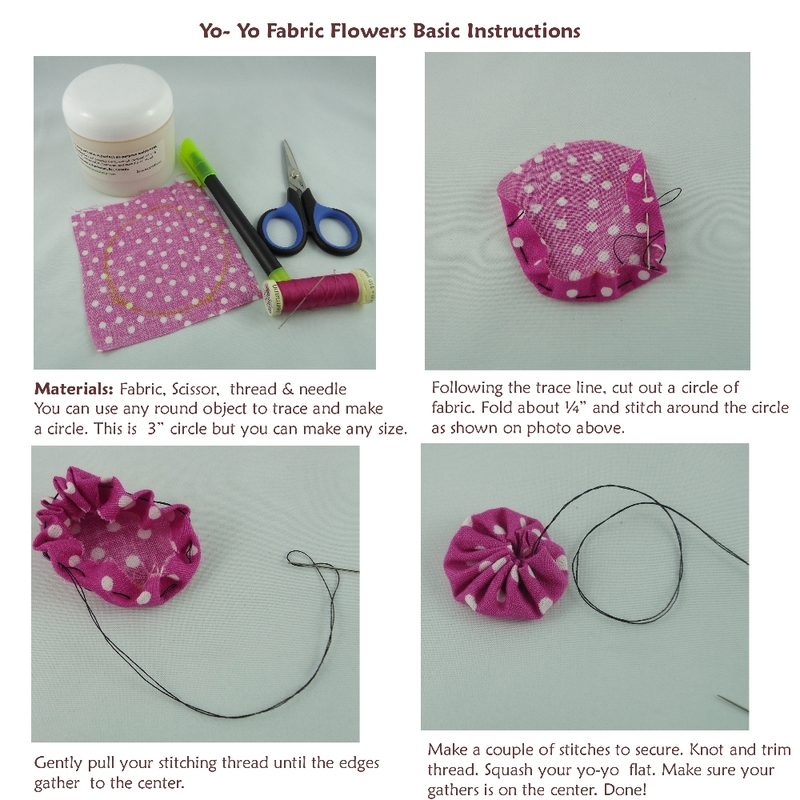 Now that you know how to make a simple Fabric Flowers. Go Yo-Yo and have fun! 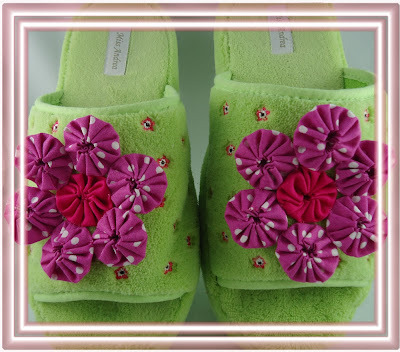 Nice combination of fabric flowers and slippers' colors. They perfectly complement each other.